Your Own Home Care provides a variety of options for care at home, including regular visits during the day and evening, 24 hour live-in care, respite and convalescent care. We help you to live in your own home so that you can enjoy its comforts and familiar surroundings, enabling you to lead the most independent and enjoyable life that you can. We work with you to overcome challenges such as immobility, frailty or illness. Everybody’s needs are different and all our care is individually planned, so if your requirements differ from those you see here, please call to see if we can help. Recovery after a hospital stay is more comfortable in your own home. We can provide the support of a carer for a short time following a stay in hospital, or after a period of illness, whilst you recover. If you regularly rely on a family member or friend, this service enables them to have a break with the peace of mind of knowing that you are being well looked after whilst they are away. These are things that we normally manage by ourselves, such as eating and drinking, getting dressed, washing and going to the toilet. If you need help with these activities to enable you to remain living in your own home, we can provide that help to suit your individual needs. Individuals in situations of severe or life-limiting illness have special needs. Our care workers provide care with sensitivity to these needs and can support and work alongside medical and nursing staff in these circumstances. 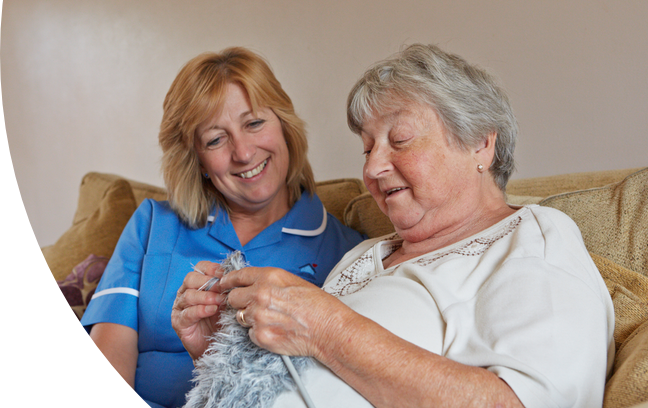 24 hour live-in care can be provided according to your needs and include personal care, housework and companionship.